It was a busy Friday for the B Town as we were able to find too many movies coming on the same day. There were three movies that were seen releasing on the same day that includes Bombairiya. The film was a comedy-drama genre movie having Radhika Apte and Aditya Roy Kapur in the lead roles. The film bagged mixed reviews and had barely was able to create any pre-release buzz in the media. 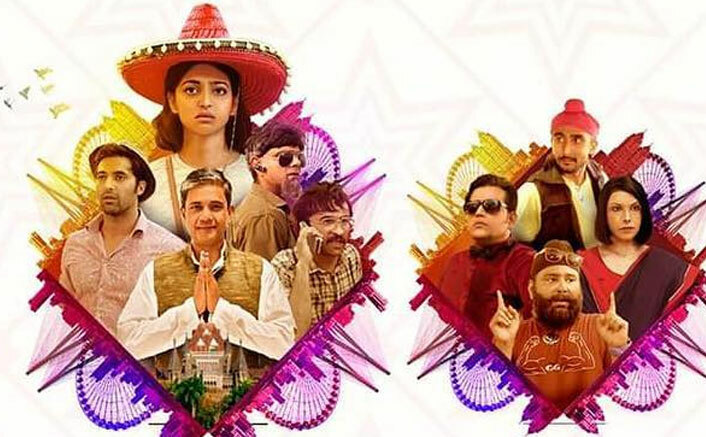 With mere 1.2 crores on the first day, the film continued to get a similar collection on the second and third day as well. The total collection was in a bad shape that kept the audience to score more at the box office. The collection for Saturday and Sunday went on to score around 1.25 Cr and 1.5 Cr respectively. So, the first-weekend box office collection went to score 3.95 Crores on the first weekend. Perhaps such films do not stand well at the box office as the audience do not just enjoy films with such a theme. Comedy with confusion and lots of drama has proved boring to many now, hence to attract the audience for such films is a big deal to crack. Also, the star value of the film has been low with no big star involved in it, which is again the key reason to see the film’s collection. Also, the film Why Cheap India to posed a bit of competition for it despite not doing well at the box office. Besides, Arshad Warsi film releasing the same day also gave options before the audience to choose. It was bad weekend for most of the films releasing this Friday. It is really difficult for the makers of all the films to attract with low promotion and low word of mouth buzz in the media. This will continue and will not give much credit to the audience. Now, with such a pace, the film Bombairiya is likely to get a lift during the weekdays. Let’s see how things would move, but at the moment the collection is dull and mundane and has not much to do at the box office.